As 2016 moves into the past, the New Year brings a time for change, a chance to take stock of the past year, and an opportunity to make ourselves better by taking action to improve our quality of life. So, many of us make New Year resolutions. But how many of these resolutions manage to see the first flowers of Spring? Part of making good resolutions is making sensible ones, and that is why dental health resolutions, which are often sensible and achievable, make very good ones. 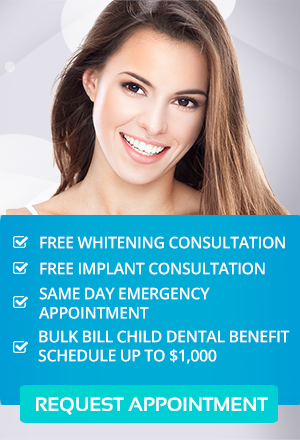 As a bonus, dental health improvements lead to improvements in general health and appearance. So, Simply Smiles Dental would like to help you ‘sink your teeth’ into some simple New Year’s resolutions that improve our oral health and might also protect your wallet! Brush and floss regularly. This is by far the simplest resolution to make, and it has some of the greatest payoff. Brush twice a day and floss at least once. For best results use new, clean tools, and make sure your technique is good by checking it with your dentis. Cut out the sugar. A study published in BMC Public Health in September 2014 confirmed a direct link between the amount of sugar a person eats and the amount of tooth decay he has. Why does this happen? Sugar provides a quick food source for bacteria so they can reproduce quickly, causing plaque buildup, which can lead to cavities. In the short term, the plaque buildup can also lead to awful breath. Visit your Dentist Regularly. Sometimes it is easy to put off dental care – other important things arise in your life: Maybe you need to save money, other important events might interrupt your schedule, and sometimes you just forget. But it is important that you make and keep these appointments as they are the first line of defense against dental problems in the future. Cleanings should be scheduled at least twice a year, and during them, your dentist can identify and suggest treatment for any small problems that might be developing. Stop tobacco use. Tobacco stains your teeth and harms your gums – its use can lead to diseases including cancer. Discontinue cigarette smoking and smokeless tobacco to improve overall health. Consider free online programs, progress apps, and support from groups to assist with saying no. Improve your smile. “Let a smile be your umbrella,“ goes the old saying. Make sure your ‘umbrella’ is in good shape. If your general dental health is good, consider restorative or cosmetic procedures to improve the look and function of your teeth. With our teeth whitening systems, dark or stained teeth can be whitened, resulting in improved appearance. There are a variety of treatments to improve your smile, and at Simply Smiles Dental we are happy to go over them with you. At Simply Smiles Dental, we aim to give you the smile of your dreams for 2017 and beyond. Our practice is in Toorak Village where we serve patients from all the metro areas including Toorak, South Yarra, Prahran, Windsor, Southbank, South Melbourne, Port Melbourne, Malvern, Albert Park, and Melbourne CBD.